My mother in law has very good taste when it comes to books, and after seeing Simeon Courtie talking about his experiences on a trip round the world with his family in aid of Unicef, touring as "The World's Worst Beatles Tribute Band" I said that he should write a book about the trip. Little did I know that he had, and that the book was my secret christmas present this year. A signed copy of "The Long and Whining Road" and the start of an on-off-on love/hate relationship with the book for me. You see, I'm envious - ridiculously envious of the sort of folk who can throw everything in to pursue something that - on paper - sounds absolutely ridiculously crazy. Simply thinking about the logistics of what it would take to chuck in the towel for a year or more, and pursue the dream of taking a battered old VW camper van around the world, driving across continents and through hazardous countries for what must have been (in sheer understatement here) the trip of a lifetime. My on-off-on love hate relationship with the book had nothing really to do with Simeon Courtie's writing style (which is funny, and at times the right kind of 'brutally honest' that books of this ilk need to be) but an unshakeable recollection of a sketch that once appeared on the darkly comic TV show "The Day Today". The sketch was an interview between Chris Morris' bile-filled parody of a Jeremy Paxman-style news anchor, and a woman who had raised some money for charity through selling jam. It basically pivots around the amount of money she raises, and Morris' reaction - which is less than complimentary about the amount. Throughout "The Long and Whining Road" I kept thinking about the costs involved in sending a family of 5 (plus a diesel camper van) around the world, and what would happen if that budget was - well - just handed over to Unicef rather than the final amount raised in donations or obtained through busking. Of course, if that had been page 1 it would've been an extremely short book, and we wouldn't have been able to follow Simeon's journey of discovery, along with his family, and the ups and downs of their trip. Things that stuck in the mind were how much we (humans) take our machines for granted. 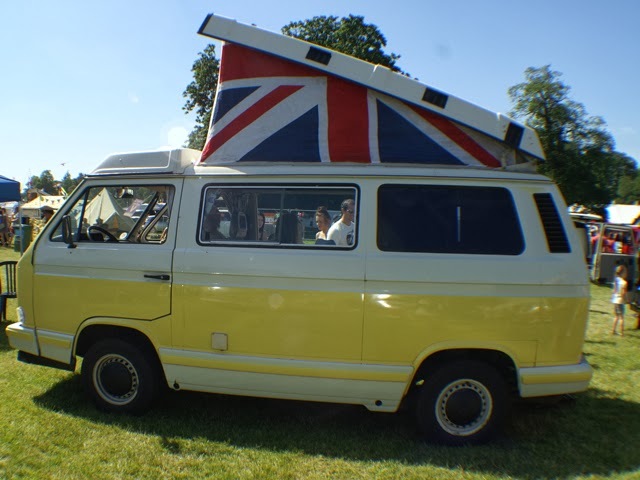 If a sane rational (and let's face it, 'play it safe') type of person had planned a trip like this, they'd be looking at taking the most up to date technologically advanced and reliable vehicle on the journey - not a 20 year old camper van. They would have made a meticulous plan of routes, factored in the need to deal with emergencies, and would (quite possibly) have been about as entertaining to read as most travelogues. The book swung up on my "I like it" scale when Simeon described the nitty gritty reality of globetrotting across land. Not only that, his description of humans encountered along the way ranged from amazing people who you sincerely wish were part of your community where you lived, and people who you'd quite happily see fired in a rocket straight at the heart of the sun. I finished the book, ended on an up-swing. Breeze through nasty pessimistic views of how much easier it would've been to skip the trip and donate the money, put a boot through the 'fussy parent' notion of what impact the trip must've had on his daughters' educations (or sanity in places!) and thoroughly engross yourself in the story of what happens when people wake up one morning, look out of the window and contemplate the morning commute or the daily grind and say "Stuff that, I'm going to do something crazy but worthwhile instead"